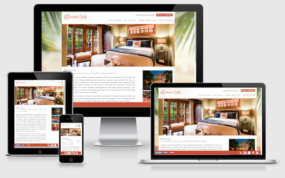 Read on to learn how InsideOut worked with this wide variety of clients to create responsive websites that improve their internet marketing effectiveness. 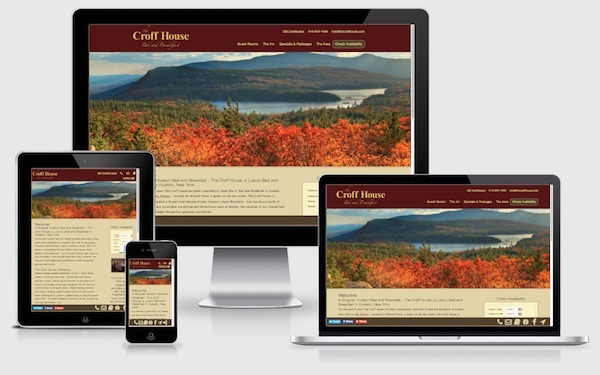 BEFORE: The Croff House website was elegant, but definitely aging. Launched on October 5, the new website for The Croff House Bed and Breakfast was a complete redesign of the site we originally designed and launched in December, 2008 for our longtime web, graphic design, and print clients Russell Gibson and Duncan Calhoun. 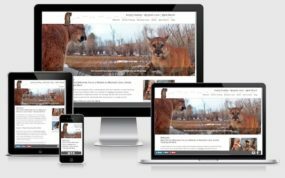 Despite regular updates and upgrades to the site, including adding a version that was mobile friendly, the previous website was hampered by a Content Management System (CMS) and design standards that were growing increasingly out of date. 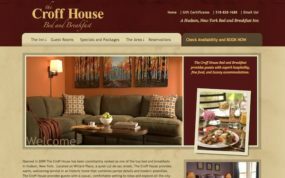 Russell approached InsideOut Solutions president Pat McCauley for a redesign quote and soon after Web Development Lead Jack Waknitz gathered their materials to create an all new Croff House Bed and Breakfast website built in WordPress. 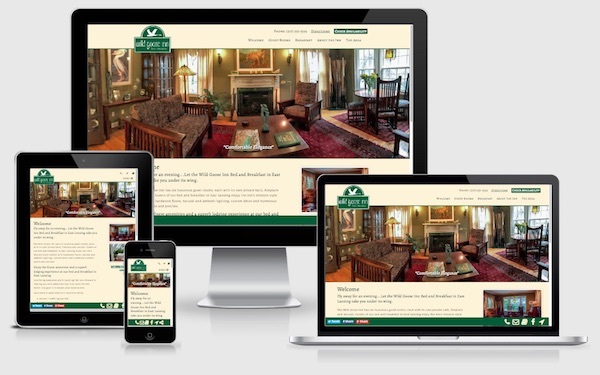 AFTER: The new responsive website design for The Croff House is both faster and more attractive on all devices. 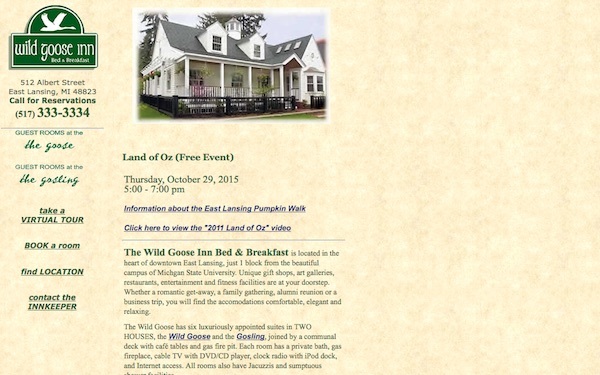 BEFORE: The previous Wild Goose Inn website was a relic from internet days gone by. Innkeeper Al Bay of Wild Goose Inn approached Pat to chat about how to handle the needs of international guests. Soon after that Al called her with a request for a proposal for website redesign and hosting. 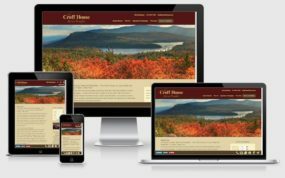 The innkeeper knew that, at over a dozen years old, the B&B’s website was so far out of date that no amount of work on it would improve his marketing efforts. Once the contract was signed, Jack worked with Al to gather needed information and materials to design and develop the website in WordPress. Launched on October 12, the new Wild Goose Inn website gives Al a cutting edge online marketing platform for his B&B, including a built-in blog. 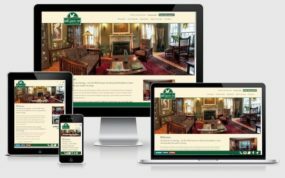 AFTER: The new Wild Goose Inn website uses the power of WordPress to provide the best possible visitor experience regardless of device. Mark Elbroch is an ecologist and renowned author, with dual interests in animal tracking and mountain lions, and is based in our hometown of Sequim, Washington. The Dr. L. Mark Elbroch website launched on November 9. 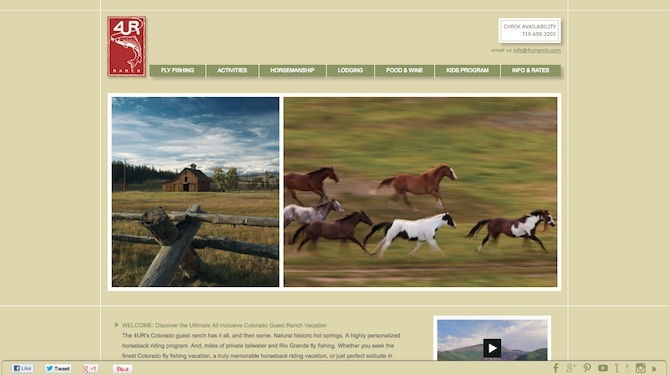 BEFORE: The 4UR Ranch website was constrained by out of date design and coding standards. The new 4UR Ranch website provides Lindsey with a faster, more flexible and easier-to-navigate website. 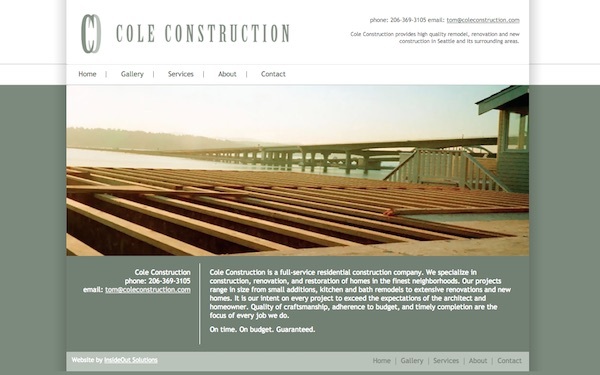 BEFORE: The previous Cole Construction website felt constrained in its layout. 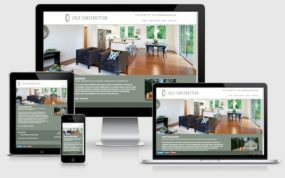 Tom Cole is the owner of Cole Construction, a residential construction, remodel and renovation business that operates in upscale neighborhoods in and around the Greater Seattle Area. He’s also the brother of Beth Edwards, our Lead Web Designer and has been a member of the InsideOut family as a website design and hosting client since 2009. Tom knew he needed to bring his online marketing up to date and worked with his sis again to construct a new website that he could then manage himself. The new Cole Construction website launched on December 12. AFTER: The new Cole Construction website has a “responsive” floorplan to be optimized for all devices. 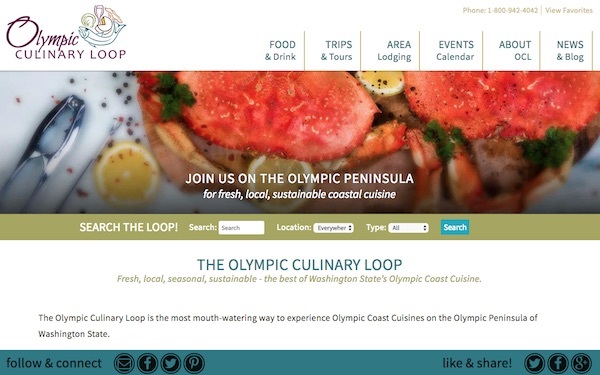 BEFORE: The previous OCL website was hacked and had legacy features no longer supported by the developer. 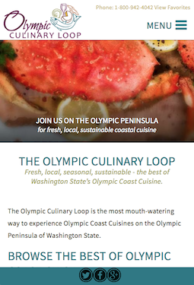 The Olympic Culinary Loop (OCL) has been a graphic design client for their print map since 2014. Last December Pat contacted OCL Marketing & Membership Services Director Steve Shively to let him know that the Loop’s website was offline. Steve replied to let her know that their website had been hacked and asked her if InsideOut could help. Brad, Jack and Shawn provided support and a hosting transfer contract was signed. 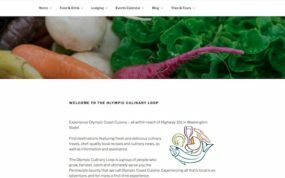 We initially put up a “flattened” HTML version of the website followed by a scrubbed-up version of the previously hacked WordPress website that we launched in January. By springtime, OCL was ready to move forward with an RFP for a complete redesign and we had a contract for the service signed in July. 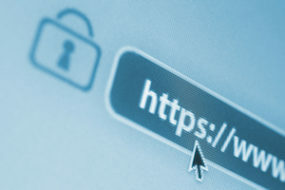 Beth worked with Steve to create the new “look and feel.” Once that was approved, Jack and Taylor Hasenpflug developed the website in Laravel to take advantage of the faster data management and better security offered in that platform. AFTER: The new OCL website is stable, secure and features speedy database management. The new Olympic Culinary Loop website launched December 14. BEFORE: A beautiful, but dated design that had gone as far as it could go. 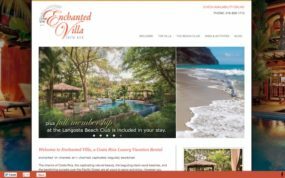 Launched on December 28, the new Enchanted Villas website was redesigned from the ground up to showcase a new vacation rental added to an existing one. 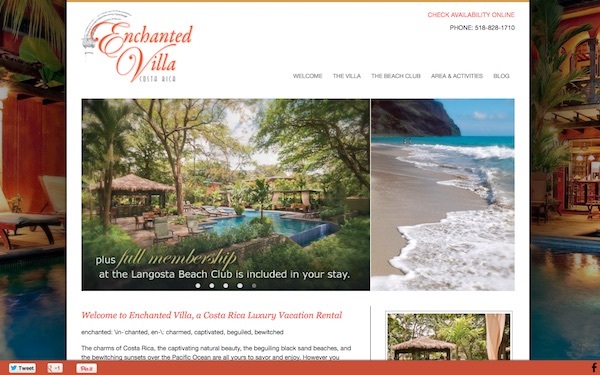 InsideOut designed and has hosted the Enchanted Villas website since 2014. Recognizing the need to update the website to take advantage of responsive design, Owner Duncan Calhoun approached Pat this summer to work out a new design contract. New photos and text were supplied on December 1st and Jack was able to build the new website in WordPress and get it launched for Duncan before the year end. 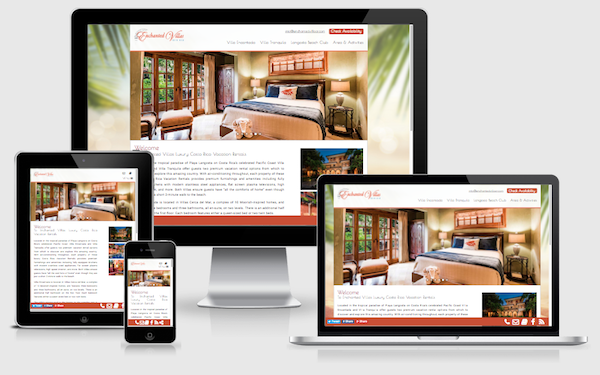 AFTER: The new Enchanted Villas website improves the visitor experience regardless of device with a responsive design. The new Enchanted Villas website will also allow Duncan to easily manage and add/modify/delete properties. 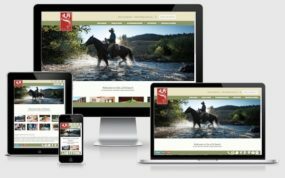 Considering a New Website Design for Your B&B, Dude Ranch, Vacation Rentals or Destination? Websites with responsive design are preferred by Google and are easier to maintain. 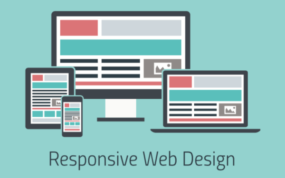 Depending on the age of your current website, you will need either a responsive upgrade or redesign to move your online marketing forward. A new website design from InsideOut Solutions starts at $3,500 and may be financed at $125 per month (based on $500 down + 24 monthly payments). View our Website Design Portfolio and contact us today for a quote to keep up with the ever-evolving standards of internet marketing.